CHAMPAIGN – Charles (Chuck) D. Elmer, 89, passed away peacefully at home on Friday, January 11, 2019. Visitation will be held at Morgan Memorial Home, 1304 Regency Dr. West in Savoy on Friday, January 18, 2019 from 11 a.m. to 1 p.m. followed by a Celebration of Life service at 1 p.m.
Chuck was born on June 21, 1929, in Nevada MO. He was the oldest son of Charles F. and Ruby Dixon Elmer. His sister, Betty Jo Eoff and brother, Robert F. (Helen) Elmer reside in Springdale AR. He was a devoted husband and soulmate of 34 years to Bonnie J. Dodds of Lafayette IN; loving father to Charles M. Elmer of Mansfield IL, Robert (Stephanie) Elmer of Champaign, Paula Arroyo of Temecula CA, Cindy Dodds of Urbana and Vickie (Carl) Harshbarger of St. Joseph; grandfather to Cory Allen, Cole Elmer, Ryan Elmer, Matthew and Sean Arroyo, Mikayla and Mariska Harshbarger; great-grandfather to Michelle, Brody, Emersyn, Amelia, Logan and Reagan. At the age of eight, Chuck’s family moved to Springdale AR from Kansas City MO, where he became an accomplished Boy Scout and played football. After H. S. he attended Hendrix College and continued his education at the University of Arkansas in Fayetteville. 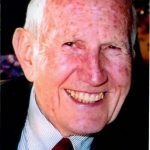 In January 1949, he enlisted in the US Air Force and was stationed for 3 years at Sandia Base Hospital, Albuquerque NM, as a physical therapist technician, and took classes towards his bachelor’s, which he finished back at the U of A in 1952. He finished his master’s degree from the University of Iowa in 1957. In 1955, Chuck moved to Champaign and began his 34-year career as a physical therapist for the UIUC campus at the Disability Resources & Educational Services Center. He had a great passion to help disabled students achieve their fullest potential. He was the supervisor of physical therapy services and taught kinesiology classes and drivers ed training to disabled students. In an effort to promote wheelchair basketball and athletics, he participated in several exhibition tours to Hawaii, Africa, and England. He was a referee of wheelchair basketball and football games for many years as well. Chuck spent several decades supervising the ushers in the horseshoe at U of I Memorial Stadium football games, and enjoyed many sports and hobbies; racquetball, handball, karate, camping, sailing, woodworking and construction. Chuck and Bonnie loved to travel, play tennis, snow ski, exercise, ride bikes, attend concerts/movies, walk the dog and take care of his yard and garden. He was an avid reader, took pleasure in running errands with Bonnie, and found great pleasure in spending quality time with friends and family. In lieu of flowers, memorial contributions may be made online or made payable to the “University of Illinois Foundation” and sent to: 1305 W. Green St, Urbana, IL 61801. Please annotate fund number #333540 and “In memory of Charles Elmer”. Donations will be made to the general fund for the Disability Resources and Educational Services Department. Paula, Rob and Mike: know that I am thinking of you all at this time and hoping you find comfort in the loving memories you have of your Dad. What a wonderful man. I'll always remember how his whole face lit up when he smiled. My condolence's to you,Mike,Rob and Paula on the loss of your dad. I'm glad that you got to visit with him, Paula, and I'm proud of you two men for getting him saved. May the Lord bless you all in your time of need. I'm sorry to hear of Chuck's passing. I enjoyed working with him at the Rehab Center.